Remember – CEP is for life not just for Christmas, Harvest and Easter! We can visit your school at any time of the year and deliver assemblies on a wide range of themes and teach high quality, fully resourced RE lessons covering topics from the Redbridge Agreed Syllabus and major exam board specifications. 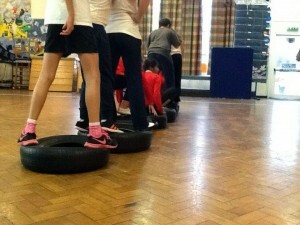 We can also carry out a host of other activities with your pupils – all free of charge! All of our assemblies are anchored by Christian teaching but have a general message that can be embraced by all regardless of faith. Themes include; ‘Bullying’, ‘Generosity’, ‘Change’, ‘Setting Goals’ and ‘Forgiveness’. We are also happy to work to the school’s suggested theme and create new material. How do religions celebrate the birth of a baby (baptism theme)? How and why do Christians pray? What does religion say when life gets hard? How do religious people express their faith through arts? Where, how and why do Christians worship? We also conduct Q&A lessons in both Primary and Secondary schools where the pupils (and teachers) can ask the questions they have always wondered about with regard to the Christian faith. This is particularly useful at GCSE where the syllabus requires engagement with a range of Christian views. CEP also runs teambuilding workshops that are popular with Yrs 5 & 6, although they are just as effective with staff on inset days! Our current project leader is an experienced secondary RE teacher with a broad knowledge of the requirements for RE at KS3-5. Lessons are tailored to specific learning objectives and, at Ks4 & Ks5, fit in with the exam specifications. KS3 – We can tailor lessons to your school’s provision, providing a context for the concepts taught through answering questions from the perspective of the lived experience of Christianity. KS4 – We can deliver sessions on the beliefs and practices sections of the syllabus, helping to address common misconceptions amongst pupils and answering questions about the impact of belief on the life of the believer. Our lessons can cover tricky areas such as ‘The Trinity’, ‘Mission and Evangelism’ and ‘Atonement’. We have recently successfully partnered with Redbridge Foodbank and Redbridge Street Pastors in order to deliver joint sessions on the role of these organisations in the community. We can cover all aspects of the Development in Christian Thought units as well as delivering the Philosophy and Ethics content from a Christian perspective. We run a number of lunchtime clubs, one to one mentoring and PHSE/Citizenship lessons. One of our schools workers is experienced in leading groups of young people in singing and is currently working with a number of schools on gospel choirs. Please contact us if you would like to discuss any ideas on how we can support you and your school. Please remember there is no charge to schools for the work that we do.